New greenhouse designs, better glazing, improved heating and ventilating equipment and new management systems should be included when upgrading or adding on. With typical annual energy usage being 75% for heating, 15% for electricity, and 10% for vehicles, efforts and resources should be put where the greatest savings can be realized. Prices are at the time of publication. Weather-strip doors, vents, and fan openings. For example, a 48-inch fan louver that fails to close properly leaving 1-inch gaps, allows 23,000 Btu/hr of heat to escape, costing $0.53 if you are burning $2.30 fuel oil (prices at time of publication). Lubricate louvers frequently so that they close tightly. A partially open louver may allow several air changes per hour. Additional fuel is needed to heat this air. Shut off some fans during the winter and cover openings with insulation or plastic to reduce infiltration of air. Use poly with an infrared inhibitor on the inner layer for 15% savings. Payback is two to three months. Install a thermal blanket for 20 to 50% savings. Cost is $1.50 to $2.50 per square foot. Payback is one to two years. Tight closures should be maintained where curtains meet sidewalls, framing or gutters. Use a U-shaped trap to prevent heat from escaping overhead. Heat and water lines should be insulated or located below the blanket. Insulate the foundation. Place 1- to 2-inch polyurethane or polystyrene board to 18 inches below ground to reduce heat loss. 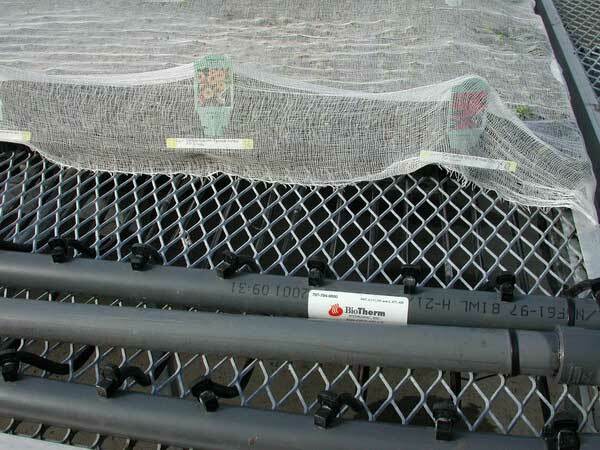 This can increase the soil temperature near the sidewall as much as 10 °F during the winter. Insulate the kneewall or sidewall to bench height. Use 1- to 2-inch insulation board. Applying 2 inches of foam insulation to a 3-foot-high kneewall on a 28-foot by 100-foot greenhouse will save about 400 gallons of fuel oil per year. Insulate behind sidewall heat pipes. Use aluminum faced building paper or insulation board behind to radiant heat back into the growing area. Leave air space next to wall to prevent frost damage to the wall. Increase space utilization to 80 to 90% with peninsular or movable benches. Roll-out bench system can double growing space. Plants are moved outside during the day. Installation of floor or under-bench heat will allow air temperature to be set 5 to 10 ºF lower. 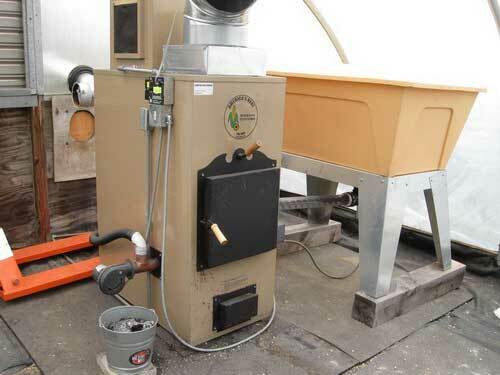 Yearly maintenance - Check boiler, burner and backup systems to make sure they are operating at peak efficiency. Have furnaces cleaned and adjusted and an efficiency test run before heating season. A 2% increase in efficiency for a 30-foot by 150-foot greenhouse will save about 200 gallons of fuel oil. Check accuracy of thermostats - correcting a reading that is 2 ºF high will save $100 to $200. Install electronic thermostats or controllers with a 1 °F accuracy. Potential yearly savings of 500 gallons of fuel oil in a 30 foot by 100 foot greenhouse when changing from a mechanical to electronic thermostat or controller. Aspirate thermostats or sensors for more uniform temperature control. Differential between on and off can be reduced as much as 6 ºF. 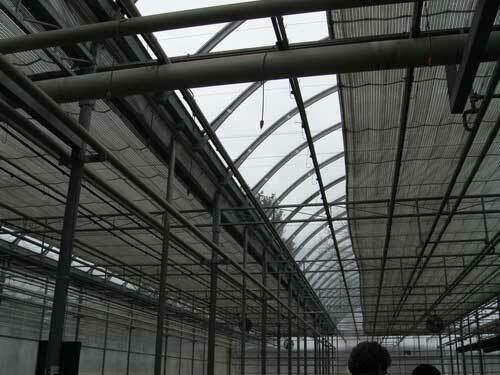 Install horizontal air flow (HAF) fans to get more uniform temperature in growing area. Check and repair leaks in valves, steam traps, and pipes. Build a new greenhouse with open-roof design to eliminate the need for fans. Have wiring system inspected for overloading, corroded parts, and faulty insulation. 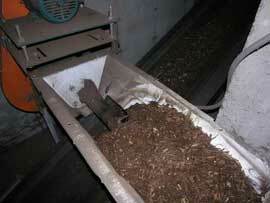 Replace 3 hp or larger motors with high efficiency ones to reduce electric consumption by 2 to 5%. Replace incandescent bulbs with low wattage fluorescent or HID bulbs. Save two-thirds on electricity. Avoid lengthy idling. Idling can consume 15 to 20% of the fuel used. Heat water to the lowest temperature needed; usually 120 ºF is adequate. Eliminate water leaks. A dripping faucet at 60 drops per minute will waste 113 gallons per month. Lower night temperature. Fuel consumption is reduced 3% for each 1 ºF night temperature is lowered. Booklet: “Energy Conservation for Commercial Greenhouses” - NRAES-3, 100 pages, $21.25 available from the Resource Center, Unit 4035, W.B. Young Building, Rm.2, Storrs, CT 06269-4035. Make check payable to UConn. Price includes postage and handling. 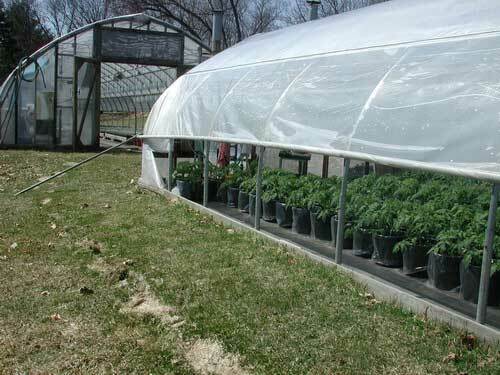 Will the Zoning Commission Approve Your Greenhouse? The MDAR Energy Program’s primary function is to promote energy knowledge and awareness and to facilitate the implementation of energy related projects for our agri-businesses through energy efficiency, energy conservation, and renewable energy applications, as a means to reduce both energy costs and environmental pollution. Information on grants and funding are also available on this website. Large energy users often hire a consultant or broker to assist in reducing and managing their electricity and natural gas, fuel oil and other energy expenses. The consultant analyzes business energy use and helps negotiate contracts and rates. Consider the cost of different fuels in terms of energy value.